Nine Grace College student-athletes have received the NAIA-Daktronics Scholar-Athlete distinction. 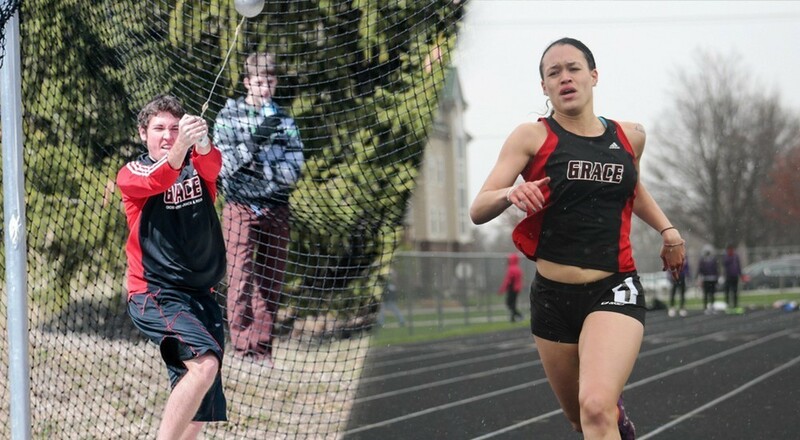 Nine student-athletes on the Grace College track and field team have received the NAIA-Daktronics Scholar-Athlete distinction. The women’s team had seven honorees, good for third-most in the Crossroads League. Jo Boren, Rachel Fehring, Megan Gast, Victoria Gimben, Alicia Hertzler, Heather House and Alexis Nelson comprised the Lady Lancers’ academic winners. On the men’s side, Drew Perrin and Josh Peterson were honored for their academic prowess. To receive NAIA Scholar-Athlete distinction, a student-athlete must maintain a minimum GPA of 3.5 on a 4.0 scale and must have achieved a junior academic status. In total, 450 women’s athletes and 287 men’s athletes were named NAIA Scholar-Athletes in 2015.